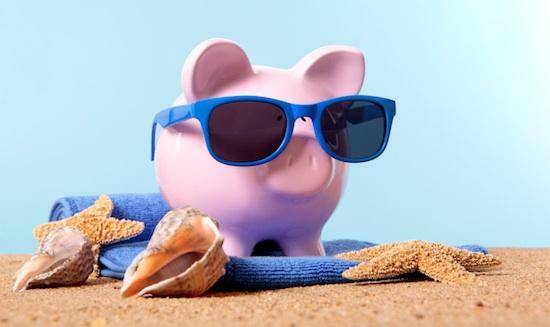 Financial Tips for your Vacation — Peace of Mind Financial Planning Inc. Unless you’re doing a last minute trip, you’ve probably already booked flights and hotels for a summer vacation. But even if you’ve already paid that money, there are still some opportunities to save money on an upcoming trip. One is meal planning. If your household is like mine, even a very eventful vacation almost seems to flow from one meal to the next. But eating without a plan can add up. Find out what restaurants you’d like to go to, see if there’s a better or worse time to eat there from a price perspective, and plan some of your events around that meal. I’m not suggesting that you catch the Early Bird Special instead of enjoying a luxurious dinner. But a mid-week dinner might be just as enjoyable as going at peak times. And a leisurely lunch might be just as nice as a dinner and less expensive. Also, set a budget for a meal. Perhaps you can share an appetizer and dessert instead of each getting both. While thinking of food, snacks and drinks can be another expensive outlay if you don’t plan. Take some snacks for the plane or car, including some non-perishable snacks for the trip home. Airline food and side of the road eateries can be much more expensive than snacks you buy at the grocery store. You can also plan to eat a bit healthier if you bring these goodies with you. Buy some of your tour and event tickets ahead of the trip. This can save money – perhaps going at less popular times – and also help make sure you get to see what you want to. Spur of the moment decisions on what to do sometimes mean having to stand in a long line or missing a sold out event, so besides saving money, you might save your vacation. Give the kids a trip budget. Instead of dealing with multiple cases of whining, tell them up front where you’ll be going, what you’ll be seeing, what some of the things are they can purchase (or won’t be allowed to purchase), and how much they will be allocated. Older kids can do some online research on what they might be able to buy. You can have some teachable moments with younger kids. If you hold on to the trip budget until they are ready to spend it, you can have a fun discussion about the purchase. That’s better than arguing that you won’t buy them something else. If you’re looking for a last minute getaway close, you might be able to find some good bargains. Hotels that have empty rooms may have lower rates for last minute stays. There are even some reduced airline fares if you can go on a moment’s notice. You can plan enough to save a little, but let go enough to have some fun.